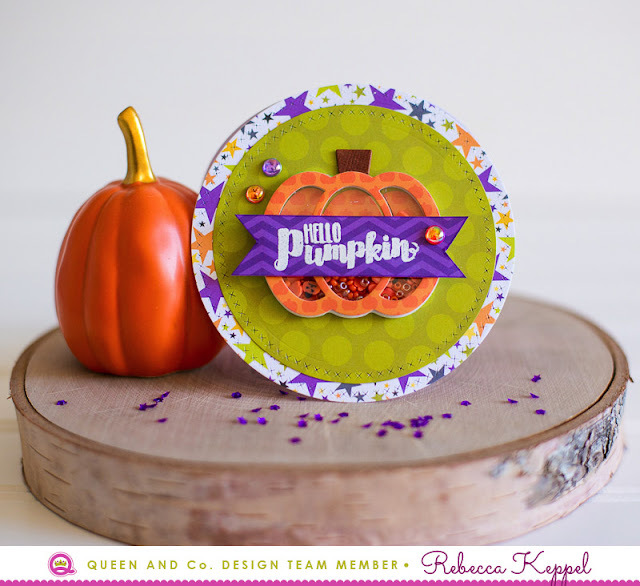 If you haven't seen the Queen and Co. Halloween Hoopla Shaped Shaker kit yet, you MUST check it out! (Everything is linked down below). I especially love the pumpkin shakers and I made TWO different cards with them. The first could be used for other occasions beyond Halloween. 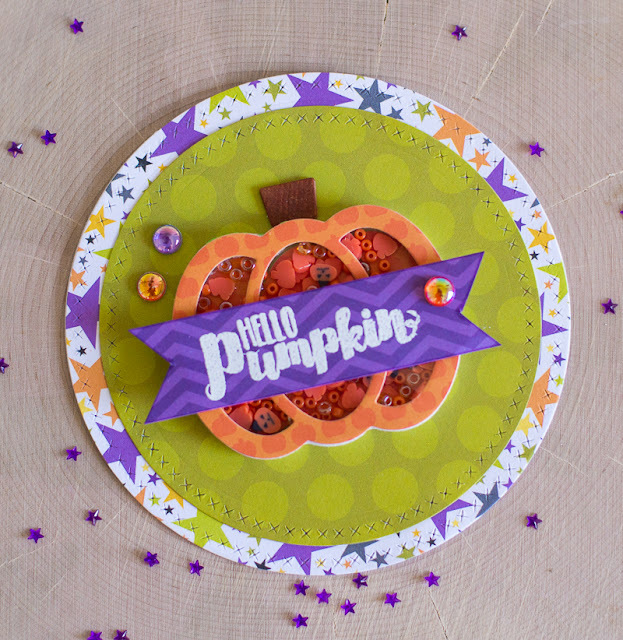 I love how the pumpkin shaker is the star of the show on a small circle shaped card. 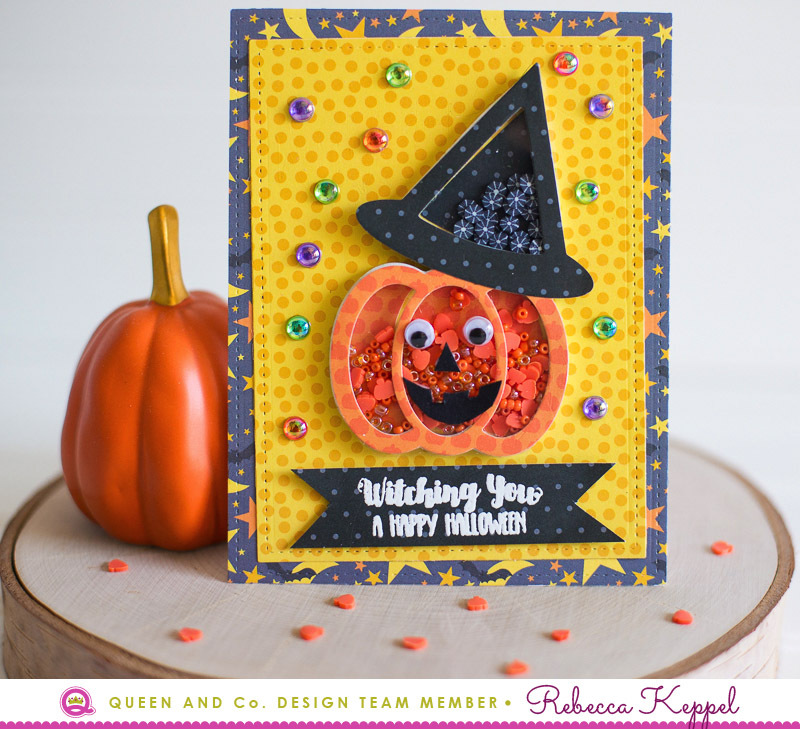 The second card is definitively Halloween-themed. On the second card, I added a witch hat shaker from the same kit on top of the cute pumpkin. 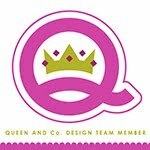 Want to see the supplies I used? Check out the list below! Thanks so much for stopping by! 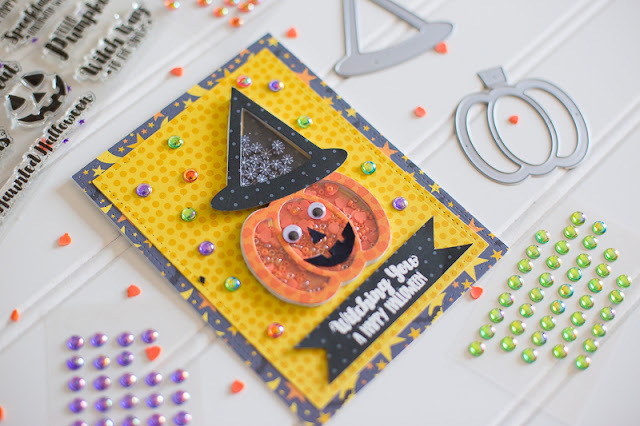 I want to make different styles of cards for Halloween, i go throught your blog and came to know it is actually good, your post gave me different ideas for making cards, thanks for sharing!